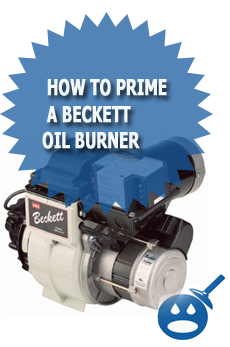 If you are having trouble with your Beckett oil burner then you will need to find out what is wrong with it by troubleshooting different parts of the burner. There are many different things that can go wrong and will make your burner fail, so it is very important to read carefully as well as repair the burner the same way. The first thing you will need to do is make sure that you know where all the parts are we are going to describe and if you don’t and even reading this makes you nervous it maybe best that you just hire someone that is licensed in repairing oil burners. Of course you could be a season repair professional and might be looking for some Beckett oil burner troubleshooting tips as well just to make your service calls go easier. Whatever the case maybe you will need to know what and where the parts are to repair a Beckett burner. Solution: You will need to either replace the oil burner nozzle or learn how to clean a oil burner nozzle so that you can get the fuel through the nozzle with the intended flow. Buying a brand new replacement Beckett oil burner nozzle is recommend choice of many oil heating service professionals, but if you are low on money and like to tinker with things then go on ahead and try to clean it. Solution: This could be caused by a bad transformer or even electrodes that are not positioned or even adjusted correctly. You will want to make sure that your transformer is good and your electrodes have been properly adjusted. Solution: Hit the reset button on the motor while opening the bleed screw on the pump. 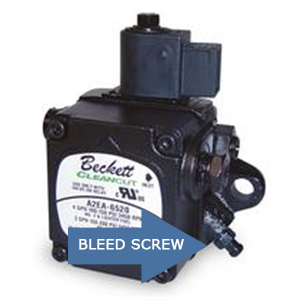 It is a good idea to make sure you loosen the bleed screw before hand to make sure its not tight, then just hand tighten it, so when you hit the reset button you can just open the Beckett burner bleed screw a half turn and let the air out of the line. The bleed screw is located in the front or the side of the oil pump on the burner. Solution: This means that you need to adjust the air intake on the fan. You can do that by adjusting the squirrel cage baffles located on the side of the burner. Solution: If you need to replace the oil filter on you Beckett burner you can do so by removing the bolt that holds the cover over the filter. Once have removed the bolt you can remove the filter cylinder and then pull the filter out and replace it with a new one. Solution: If you are a homeowner then its seriously time to call in a heating professional to have your burner cleaned and adjusted. 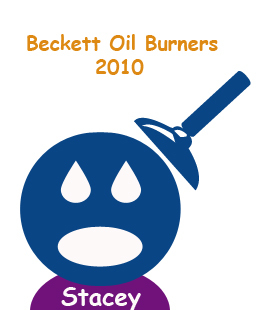 If you are a heating professional and are clueless because you have never really worked on Beckett oil burners then you will need to adjust the flame, air, intake and possible clean the boiler. It might be a good idea to get some kind of factory training. According to the manufacturer, it is recommended for the owner to hire a service professional to perform a regular maintenance on a yearly basis. It is also strongly suggested not to tamper with or make any incorrect adjustments on the unit, controls and any other critical area and parts by owner’s hands because it could lead into further problems such as asphyxiation, explosion or fire. Always make sure that a qualified service technician starts the work on the jobsite. This is because operation and adjustment of the oil burner requires many hours of in-depth technical training and skillful use of combustion test instruments and other test equipment, and these could not be easily acquired by regular customer over the books or any other online resources. – Check the outside oil supply line. It is visible and usually transparent pipe, and you can inspect any signs of leakage around the area. – Also check the oil supply system. All fittings should be leak-tight. The supply lines should be free of water, sludge and other restrictions. – If you can, verify the nozzle is the one originally specified by the appliance manufacturer. Sometimes it can result in malfunction or poor performance having the nozzle of different specifications from the same manufacturer. – Inspect the igniter spring contacts. Clean or replace if corroded. – Inspect all gaskets. Replace any that are damaged or would fail to seal adequately. 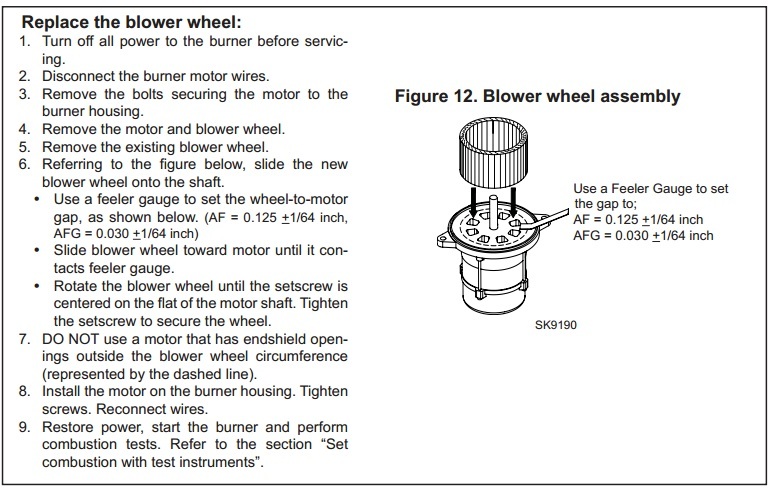 The blower fan continues to run, preventing reignition of the burner.